The new VNV Nation album “Noire” will get 2 versions. A limited edition double black vinyl (available here) and a digipak version (available here). Both versions will have the same tracklist being this one: 01 A Million 02 Armour 03 God of All 04 Nocturne No.7 05 Collide 06 Wonders 07 Immersed 08 Lights go out 09 Guiding 10 When is the Future 11 Only Satellites 12 Requiem for Wires 13 All our Sins. This is the first album which will be released after Mark Jackson left the band. Jackson had participated as live drummer at concerts since the mid 1990s. 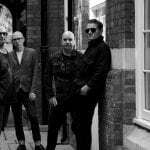 “Noire” is planned for release in October 2018 and will be accompanied by a tour. 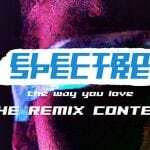 Electro Spectre remix contest - the results are in, the winning tracks are out!